The annual Pacific Dental Conference starts March 7 and runs until March 9 at the Vancouver Convention and Exhibit Centre. See below for all the events and places to join UBC Dentistry during the conference period. It’s 55 years of celebration at the UBC Dentistry booth! 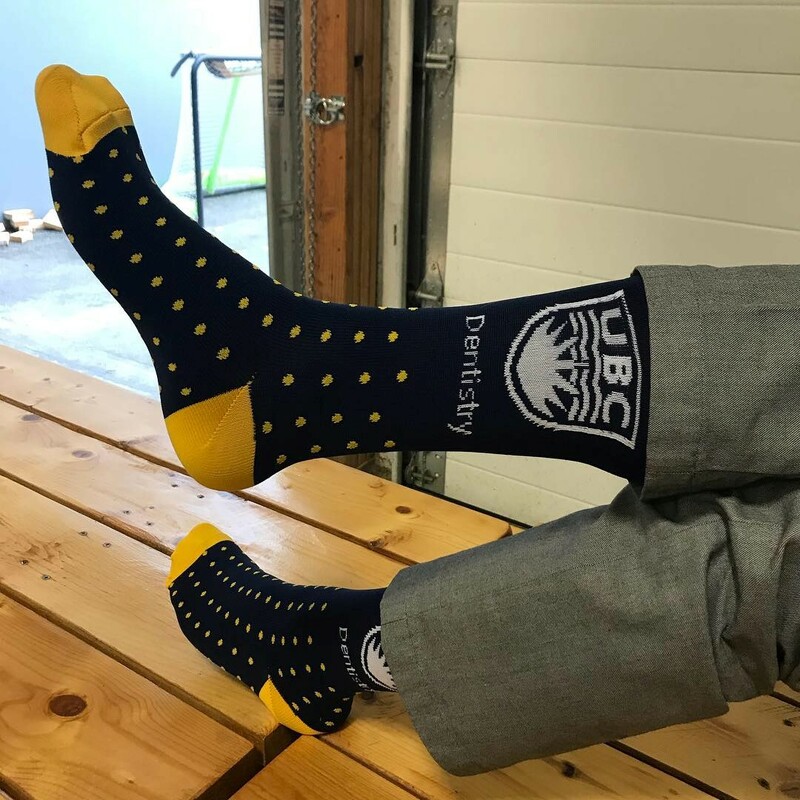 Stop by to enter to win a pair of UBC Dentistry socks for a 1950s-themed Sock Hop at the Annual Alumni Reception (invite below). 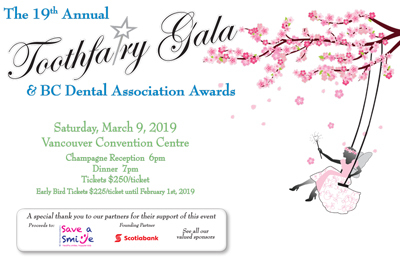 UBC Dentistry Continuing Dental Education will also be on hand at the booth with their latest brochures and information about upcoming programs. We are located at booth 1343 on the tradeshow floor. 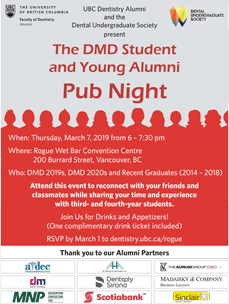 If you are a graduate from the years of 2013 to 2017 come to the the DMD Student and Young Alumni Pub Night for the annual young alumni and student networking event. Share your experience of “life after school” with third- and fourth-year students. Please join us for a one-hour breakfast, mentor recognition, and conversation with third-year UBC dental students as they explore the possibilities of working with you this summer. The Summer Student Practitioner Program is financially supported by Pacific Dental Conference Trust, CDSPI, Synergy Business Lawyers, and UBC Dentistry. All UBC Dentistry alumni are invited to join us at the Annual Alumni Reception at the PDC on Friday, March 8 following the close of PDC’s tradeshow floor. 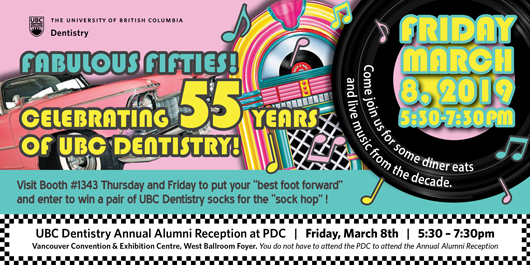 Come to the West Ballroom Foyer at the Vancouver Convention and Exhibit Centre to celebrate 55 years of UBC Dentistry with tunes, drinks and appetizers and a 1950s-themed Sock Hop! Meet the Dean, Dr. Mary MacDougall, at the largest gathering of UBC Dentistry alumni this and every year. The alumni reception honours graduates of the following years with professional, commemorative class photos: 1969, 1974, 1979, 1984, 1989, 1994, 1999, 2004, 2009, 2014, and 2018. Check out the photo times below. Many of these classes have reunion dinners planned. Check the reunion page here for more information. Please note: you do not need to attend the PDC to attend the alumni reception! 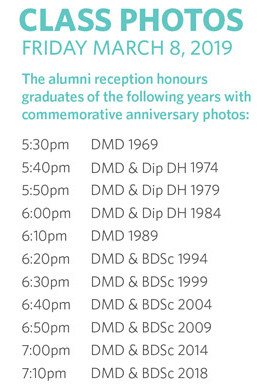 The alumni reception honours graduates of the following years with commemorative anniversary photos. We are helping the classes of 1969, 1974, 1979, 1984, 1989, 1994, 1999, 2004, 2009, 2014 and 2018 to reconnect with their classmates and friends to celebrate their important milestone graduation reunions at the PDC. 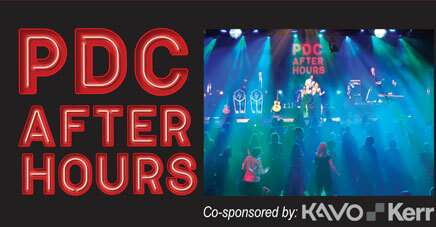 Dance fans may dance the night away at the PDC’s newest social event at the Commodore Ballroom.